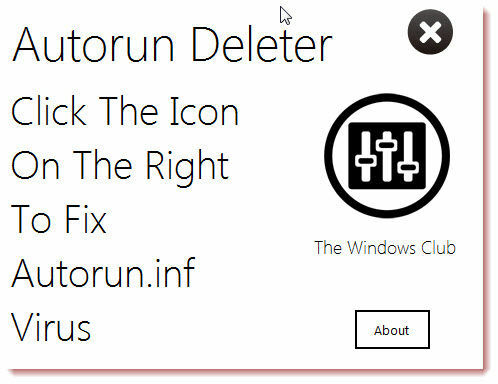 Autorun Deleter is a tool that will remove an Autorun from a USB drive in Windows. Simply run the app and click the icon on the right to remove the Autorun.inf. Autoruns can be misused to spread malware if autorun isn't correctly disabled on a system.